Crash Detroit is a three-day festival that exists to share the joy of music with Detroit by bringing street bands from around the country to perform in public spaces and local businesses. 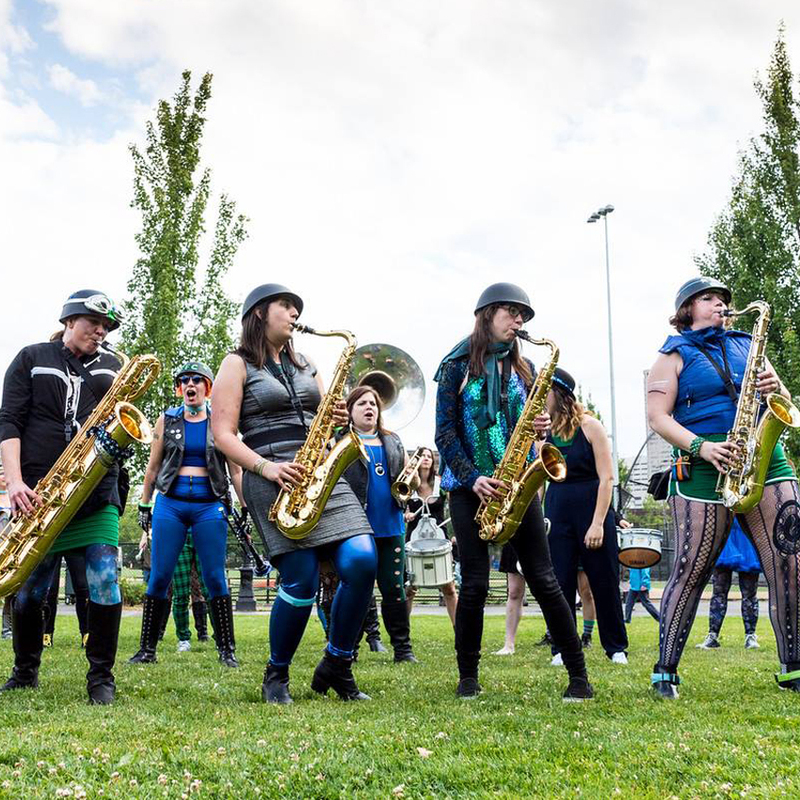 Street bands are unamplified musicians who have the power to surprise and inspire their audiences, bringing life to the spaces where they perform. Crash Detroit brings this power to the city, encouraging the community to revel in the joyous sounds and movements found in street band culture and music. A family-friendly day of live street bands, DIY instrument creations, food trucks and so much more! Join us in the evening for a ticketed showcase of our bands. This year, Crash Detroit expands to two stages in the Dequindre Cut Freight Yard from Noon - 4 PM. Food and beverages available for purchase in the Freight Yard! Youth Crash Corps (YCC) provides music education to young adults in Detroit who do not have the option of taking a music class at school. Led by certified instrumental music educator, Nichole Hartrick, students in YCC will have access to a band instrument free of charge and will learn how to perform and read music. 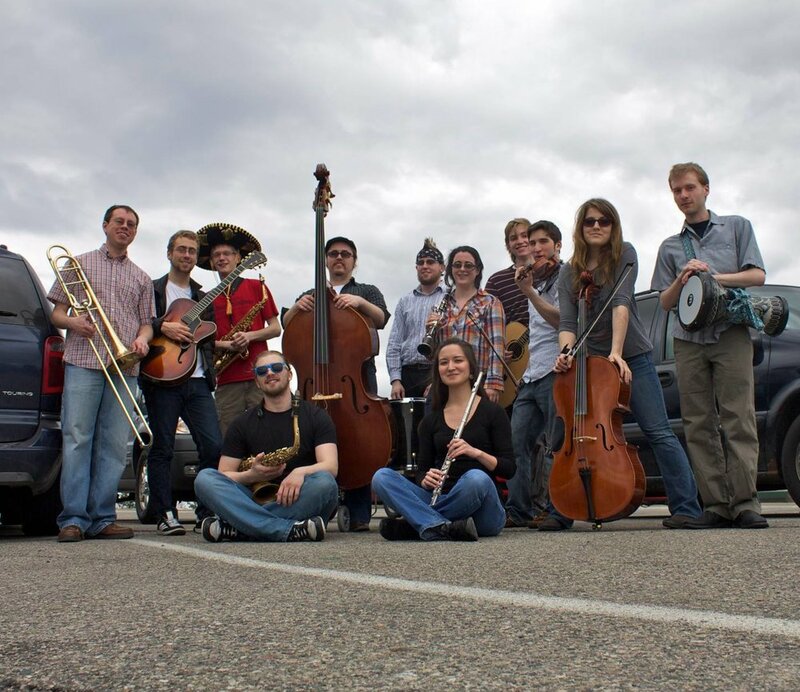 Classes will culminate in performances during the Crash music festival. This year, YCC is proud to partner with Clippert Academy in Southwest Detroit. Clippert Academy is a Detroit Public School (5-8th grade) that has not offered music to students in over 15 years. We know that students who don’t have access to a quality music education are missing out on the benefits that learning to play an instrument provides. Studies have shown that students who study music perform better in their core classes and on standardized tests. Studies have shown that students who participate in an instrumental music class perform better in core subject areas and on standardized tests. Additionally, band kids have more self-confidence, a sense of community and an outlet for creativity and expression. Music education is a critical component of a well-rounded education and we are excited to provide this opportunity for students in Detroit. Younger children attending the festival can also get in on the action by creating their own DIY instruments and participating in kid parades through the day on Saturday. Young Detroit musicians interested in performing please click here to send us a message!